Nick Adams, the Australian author of Retaking America: Crushing Political Correctness, has arrived on the American scene at precisely the right moment. He has appeared on nearly every major TV and radio show, writes for Townhall.com and Townhall Finance, and serves as a Centennial Institute Policy Fellow at Colorado Christian University. And he was named Honorary Texan in 2013 by Texas Governor Rick Perry. 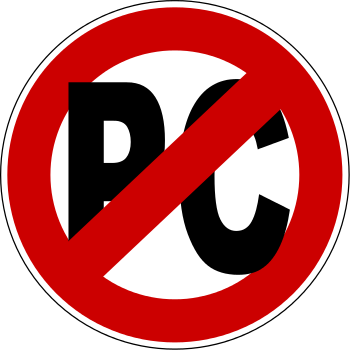 PC is being used as a hammer to intimidate, emasculate, or otherwise neutralize opposition to any Progressive agenda. Rather than answering legitimate questions or responding to thoughtful objections, the PC crowd instead accuses the questioner of being racist, misogynist, or economically illiterate. It is, as Hugh Hewitt put it, “the Left’s strong-arm strategy for silencing conservatives” and “liberal thuggery” according to Lt. Col. Oliver North. There are lots of reasons “why not” but economic ignorance coupled with union support has squelched effective resistance to raising the minimum wage. Governor Jerry Brown is planning on signing into law on Monday a bill that would raise the minimum wage to $15 an hour, the first state to do so. This will be followed shortly by New York Governor Andrew Cuomo. First, study after study has shown that minimum wage laws don’t help the people the politicians claim they’re trying to help. Data from the Bureau of Labor Statistics (BLS) show that while workers under age 25 make up only about 20% of those who earn hourly wages, they constitute half of all workers earning the minimum wage or less. Raising the minimum wage does not result in most minimum wage workers getting a raise, it results in most of them getting a pink slip. If their economic worth to their employer is not $15 an hour, they constitute a liability rather than an asset, and they will be let go. It’s simple business sense, which of course most legislators are bereft of. Removing half of the low-wage work force proves that the minimum wage is a poverty-enhancing move, not a poverty-fighting one. Research published in 2010 by economists Joseph Savia and Richard Burkhauser concluded that raising the minimum wage would only help 11 percent of workers; the rest would either have their hours cut back or their jobs eliminated altogether. I think we ought to raise the [federal] minimum wage because it doesn’t just raise wages for the three or four million people who are directly affected by it, it bumps the wage structure everywhere…. The estimates are that 35 million Americans would get a pay raise if the federal minimum wage was raised…. If you [raise the minimum wage] in a phased way, it always creates jobs. Why? Because people who make the minimum wage or near it are struggling to get by, they spend every penny they make, they turn it over in the economy, they create jobs, they create opportunity, and they take better care of their children. It’s just the right thing to do, but it’s also very good economics. The new law will boost paychecks for millions of California workers. More than 40% of California workers earn less than $15 an hour. By putting more money in people’s pockets, the pay increase will improve the economy by increasing consumer spending in businesses throughout the state. Absent was any concern over those California workers who will inevitably lose their jobs when their employers discover they aren’t worth what they’re being paid. Also absent was any concern over the violation of the private right to contract between a worker and his employer. Gone are those who aren’t worth $15 an hour, but might be worth a lesser wage to an employer. Absent was any mention of California’s manufacturing industry that makes products there but sells them out of state. They have no way to increase their prices to offset the new mandates, and as a result many of them will move their operations to more common-sense states. Aided in their quest to impose minimum wage laws on every state is abysmal economic ignorance by the electorate. A study by The Pew Center in January 2014 showed that three-quarters of Americans supported raising the minimum wage from $7.25 to $10.10 an hour. That included 53 percent of Republicans and 90 percent of Democrats. Another study at the same time showed that 74 percent of Independents surveyed favored raising the minimum wage as well. Joseph Sferrazza owns a bakery in New York City and he sees what’s coming: “The rent is so high, the profit margin is already so low, I don’t see how we can make it work. You can only charge so much for a cookie.” In a microcosm, that is what is already happening in the enlightened city of Seattle – whose city council decided that mandating a raise in the minimum wage would be a good idea. 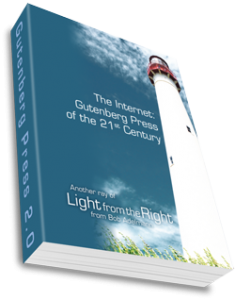 The good news for employers – and there is always good news somewhere in response to bad economic policy by Progressives – is that this is hastening the robotic revolution. Already Lowe’s Home improvement centers are installing robots alongside team members. They speak two languages, can answer questions, and can take a customer to the exact location of a specific product and then provide helpful advice and counsel on that product and how to install and use it. Target is working on a store that uses robots instead of team members, while a new hotel in Japan has robots that greet customers, register them, take their luggage to their rooms, and then clean the rooms when they leave. They are on call 24 hours a day, they don’t get sick or take time off for personal needs, they don’t demand a minimum wage or health insurance, two weeks off for vacation every year, or a pension plan. All Progressives are doing, with the help of an ignorant populace and generous union funding, is speeding up the inevitable. The New American: Will the Robotic Revolution Make Your Job Obsolete? This entry was posted	on Tuesday, April 5th, 2016 at 6:03 am	and is filed under Economics, Politics. You can follow any responses to this entry through the RSS 2.0 feed. You can leave a response, or trackback from your own site.